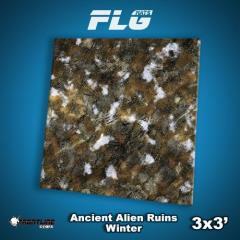 Frontline Gaming's Mats are beautiful, durable mats, and perfect for tabletop games. These mats are extremely durable, printed on a neoprene backing. That means the mat won’t slide around on the table, lays flat and looks amazing. They come with a sturdy, nylon zip-up Bag for storing and transporting your FLG Mat.